Categories: Porcelain Garlic, Hardnecks, Porcelain, Softneck. Tags: Fall Planting, Garlic, Heirloom, NON-GMO, Polish Hardneck, Porcelain, Softneck. FULL SUN Native to south-central Asia, garlic was probably domesticated from a single variety, Allium longicuspis, thousands of years ago. Today the plant is grown on every continent except Antarctica. Polish Hardneck was collected by Rick Bangert of Idaho. This garlic is a vigorous, reliable and very popular heirloom which produces very tall, impressive plants and beautiful, large bulbs. Excellent flavor and a good storer. 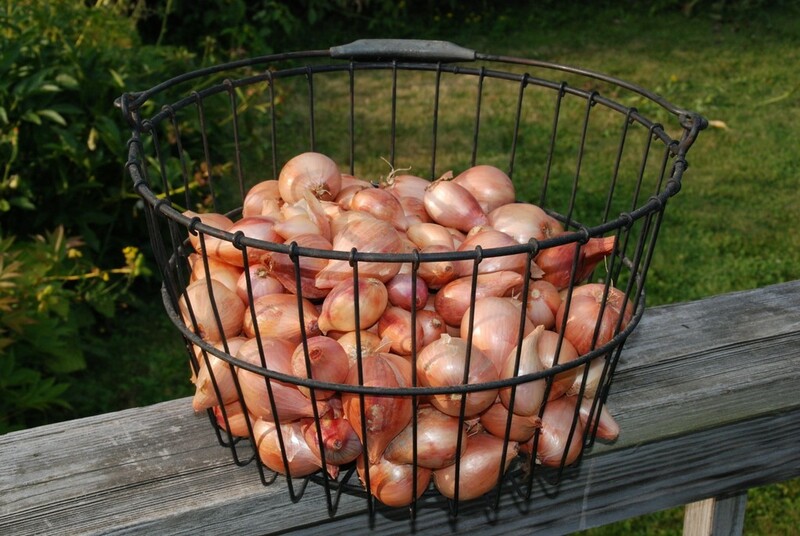 Garlic is best when planted in the fall, but can be planted in the spring as soon as the ground can be worked. If planting in the fall, plant 30 days before the ground freezes and mulch with straw or alfalfa hay if possible. Garlic must have some exposure to cold for several weeks or it will not bulb. Amend the soil with potash and phosphate before planting. Plant the cloves 1-2 in. deep and 4-6 in. apart in rows separated by 12-18 in. Harvest in mid-summer when 2/3 of the stalk has turned brown or yellow. Dig the bulbs from the soil with stalks attached. Cure in a dry, shaded area with lots of air circulation for 4-6 weeks. 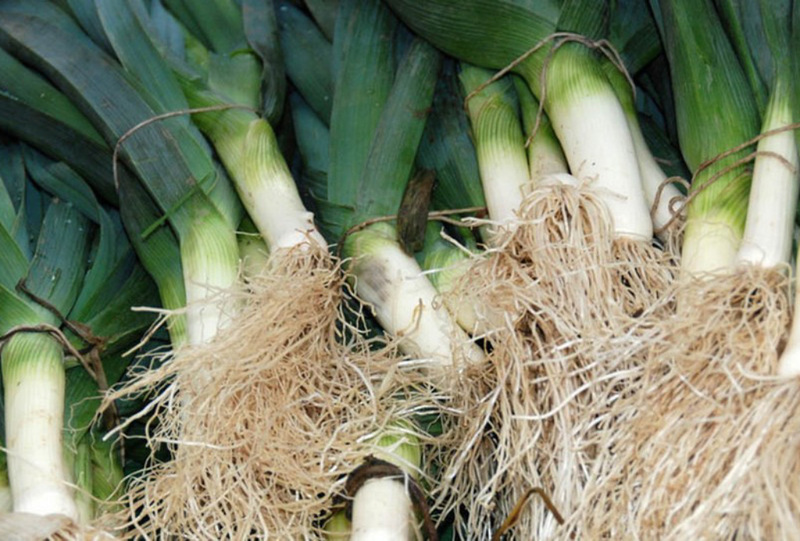 Stalks can then be removed from the bulbs. Garlic, which is a member of the same group of plants as the onion, has been cultivated for millennia. As a cultivated plant, it is so old that it is difficult to credit a country of origin for this vegetable. All modern garlic belongs to one of two subspecies: hardneck (ophioscorodon) or softneck (sativum). Hardneck subspecies try to produce flower stalks with small aerial cloves called bulbils. Hardnecks will not produce large bulbs underground unless the flower stalks are removed. 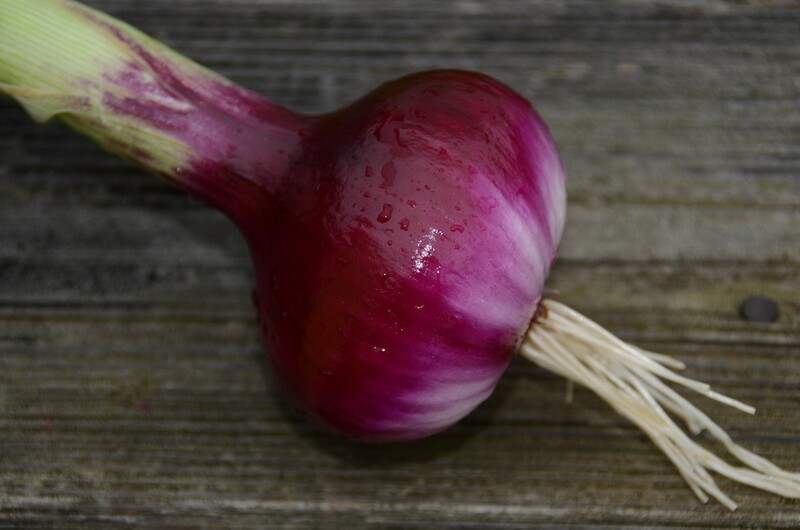 There are three varieties of hardneck garlic: Purple Striped, Porcelain and Rocambole. Softnecks have lost the ability, for the most part, to produce a flower stalk. However, under certain climatic situations, the bulbs may try to produce a flower stalk known as bolting. 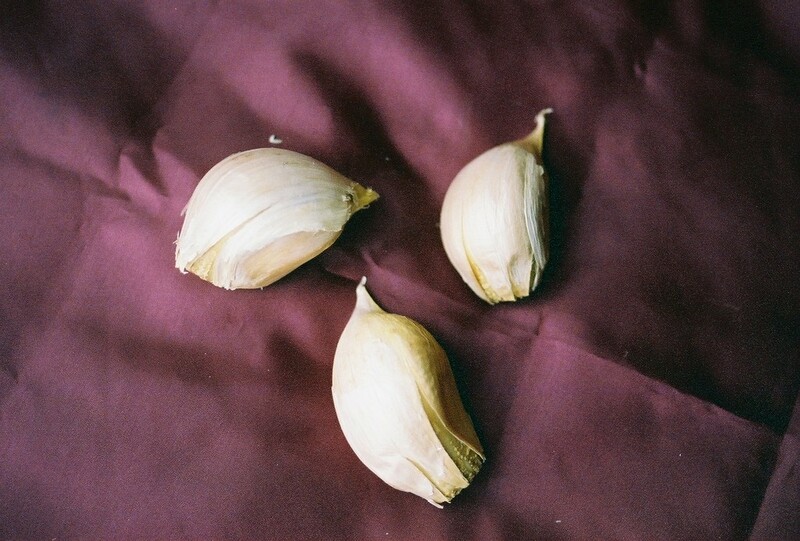 There are three varieties of softneck garlic: Artichoke, Silverskin and Creole. Porcelain Garlics, hardnecks, were not well known in the US until recently. 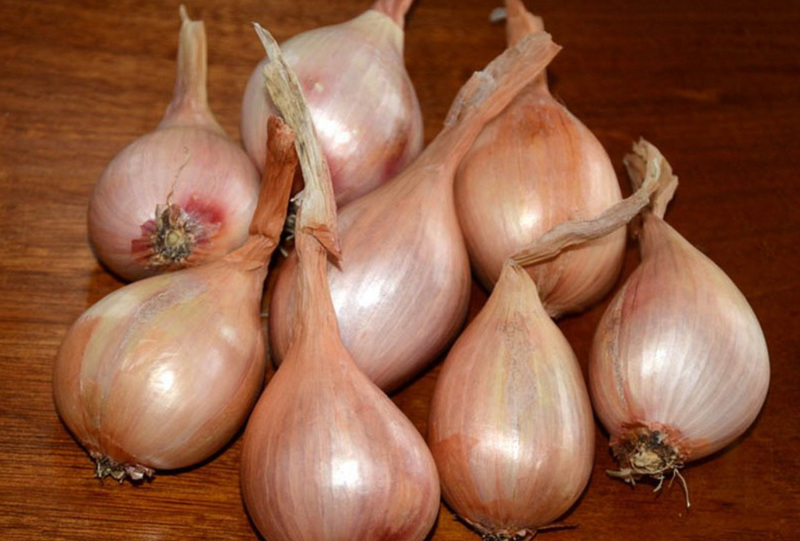 Most varieties have pure white skins and cloves so large that they are often mistaken for elephant garlic. Polish Hardneck was collected by Rick Bangert of Idaho. This garlic is a vigorous, reliable and very popular heirloom which produces very tall, impressive plants and beautiful, large bulbs. Excellent flavor and a good storer.